The MUST 1500 series is a true online double conversion uninteruptible power supply (UPS), three phase input/output with its single module capacity of 40KVA (40PM) and 50KVA (50PM). The modular UPS systems are designed to cover a wide range of power ratings from 40KVA to 1.5MVA and is designed to deliver the best combination of reliability, functionality, hot swapping and flexiblity UPS system for medium, large data centers, server & IT applications, and protect industrial automation processes, medical & healthcare equipment and many other loads where operations are critical in nature. 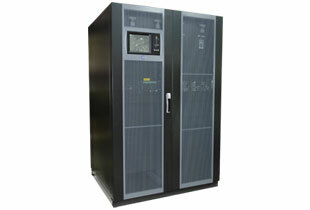 The MUST 1500 series modular UPS combines the lastest three-level IGBT technology with DSP control arithmetic. Along with high input power factor, low THDi and high efficiency, this product can achieve very high load adaptability.